amount that equates to minimum wage from your pay. As if things are not hard enough, you are now faced with living on minimum wage. 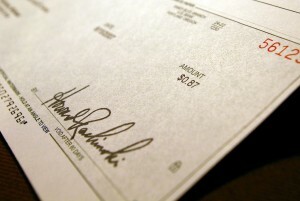 It is frightening facing the possibility of or even worse experiencing a wage garnishment. With more than 30 years experience, The Tax Resolution Institute has been successful helping taxpayers release wage garnishments and entering them into agreements they can live with over time. Instead of facing an impossible situation, call us today and use your unfortunate situation as leverage to negotiate a suitable agreement.